Electrodermal screening is a bio-feedback testing instrument that can help recognize a patient’s organ dysfunctions and contributing causes. Developed in 1952 by Dr. Reinhard Voll, a German medical doctor/acupuncturist, it has been modernized and computerized since, and allows practitioners to evaluate their patients at the core energetic level. Through bio-feedback computerized testing, we are able to discover which organs are affected by illness, detail underlying causes, as well as see possible future organ dysfunction. With over 45,000 substances encoded to test, we are able to identify specific toxins (metals, chemicals, pesticides, etc. ), yeasts, viruses, bacteria and deficiencies, and create a personalized program of resonating homeopathic, botanical and nutritional remedies for the underlying causes found. It’s not magic, but patients may think otherwise. Electrodermal screening, which electronically measures the biological energies utilized in acupuncture and homeopathy, is an indispensable tool that no physician in the 21st century should be without. Electrodermal screening is a phenomenal testing instrument that can help recognize a patient’s organ dysfunctions and predispositions even before physiological symptoms manifest themselves. First developed 50+ years ago in Germany , electrodermal screening (EDS) has been constantly improved and refined. In countries around the world it is estimated that over 100,000 medical doctors and healthcare practitioners use EDS. Fundamentally, it takes the guess work out of healthcare, and helps to determine the underlying causes for symptoms and sickness the patient is experiencing. For example, with over 45,000 substances to test for, we are able to identify specific toxins (metals, chemicals, pesticides, etc. ), yeasts, viruses, bacteria and deficiencies, as well as determine the most suitable remedies or medicines to deal with the findings. 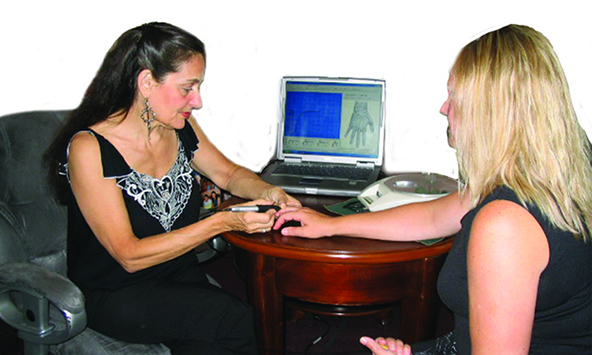 Electrodermal computerized screening skillfully blends 20th century technology with the ancient healing arts of homeopathy and acupuncture. Dr. Reinhard Voll, a German medical doctor, spent many years while studying the Chinese acupuncture meridian system, trying to find a way to measure the electrical conductivity of acupuncture points located on the skin’s surface. His discovery began a revolution in medicine because of its accuracy and noninvasive approach. This tool allows doctors to evaluate their patients at the core energetic level. Because it is based on principles and traditions of energy medicine, there is still considerable resistance to EDS in mainstream medicine in the United States . Many countries, such as Germany , other European and Asian countries, however, have employed this and similar technologies more readily. The efficacy of EDS has time and time again proved itself to me. For over a decade, I have both witnessed and used this testing instrument extensively to identify pathogens and toxins that are making a patient ill, and to ascertain what medicines, supplements and other remedies are helpful (or harmful!) to the patient. Because every individual is unique, EDS is invaluable at determining vitamin, mineral and hormone imbalances or deficiencies, as well as identifying corrective measures and dosages. There have been hundreds of individuals with successful screenings in which we identified metal or mercury toxicity as a key cause for loss of short-term memory, yeast overgrowth contributing to problematic digestion, specific bacteria causing chronic diarrhea, or undetected jaw bone bacteria (cavitations) impacting both the mouth and organ health. Vaccine residue has been one of the culprits contributing to Autism, so pinpointing the exact viruses and gently detoxifying this from a child’s body (as one part of the program) has shown to improve cognition, focus and behavior. Personally, I cannot imagine being in practice without some type of biofeedback device to be able to pinpoint problems and solutions. To be without would be similar to trying to land a plane in severe fog. Using electrical measurements for evaluation is not new. Researchers outside of this field have confirmed extensive research and testing. Conventional medical devices that use electrical current for patient evaluations include the well-known electrocardiograph (ECG) to measure heart rhythms, and electroencephalograph (EEG). The biofeedback devices commonly used by contemporary psychologists are based on galvanic skin response (GSR) circuitry, similarly to EDS. EDS instruments of today often have a computerized display to allow the patient to better understand and see what each reading indicates. In his research, Dr. Voll found that every tooth relates to different organs and tissues within the body through Chinese acupuncture meridian pathways. For example, the canine tooth was found to be related to the eye, liver, and gall bladder, and the front teeth to the bladder and reproductive organs. So if, for example, someone were to have a root canal in one of the front teeth, that root canal may impact the ovary or uterus, especially if a bacterial infection ensues. This root canal may, in fact, be the underlying cause to reproductive problems if they’ve been persistent or therapy resistant. So when dental work is done on specific teeth the underlying organ needs to be supported. EDS also is used to monitor metal detoxification before, during and after the removal of amalgams. Silver fillings in the mouth (which are made up of five dissimilar metals, approximately fifty percent of which is mercury) can pose serious health problems. Mercury leaches into all parts of the body from the mouth. Studies have shown that the amount of mercury in the brain of autopsied patients directly correlates to the amount found in the mouth. While EDS can be used to screen for toxins, such as metals, it can also be used to check the effect that root canals are having on the corresponding organs. Dr. Voll believed that 80% of all health problems had major causes in the oral cavity, and leading dentists of today, such as Dr. Hal Huggins, echo this. 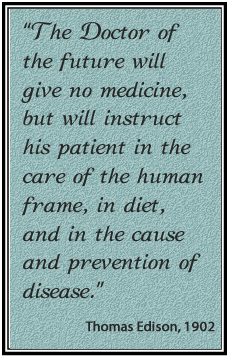 So this means that the dentist is wisely an integral part of the healing process. Choose her or him carefully! It’s not magic, but your patient’s may think otherwise… Every medical device produces some type of information about the patient that must be interpreted by the practitioner. In this regard, EDS instruments are no different than other medical tools. Each of these tools requires a trained practitioner who has taken the time to learn to use the instrument effectively and develop the skill to accurately interpret the information produced. Simply because someone uses an EDS instrument does not make her/him a skilled practitioner. 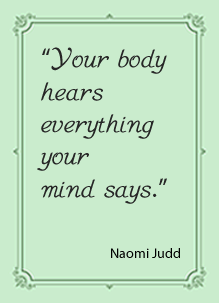 In the hands of a skilled practitioner, EDS instruments are powerful tools that can gently access the body’s sophisticated communication and control network. With the information received through such invaluable access points, healing may truly be experienced at the core energetic level.